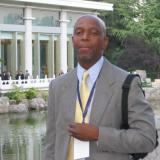 Carl Herron is currently the Senior Manager Physical Security CIP, at NERC Strategic Security Initiatives. Previously served as Senior Manager Physical Security Analysis NERC-EISAC and the Principal Physical Security Advisor for CIP-014-2, at NERC. Also served as the Security Manager at the Georgia Dome and retired from the FBI after twenty-seven years of service. Check out the incredible speaker line-up to see who will be joining Carl .